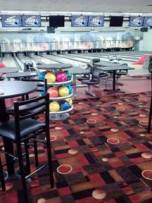 Deep Creek Lake Bowling - Family Activities in a clean, beautiful new center! Rocks & Rolls, Join Us for Family Fun! Our Deep Creek Lake Bowling Center brings bowling, music, video entertainment, arcade, pool, shuffleboard and more to the community in a whole new way! Family time at the Alley is fun for the whole family! We are very kid friendly, even for the littlest in the family, with bitty rental shoes, ramps, light weight balls and automatic bumpers, so everyone can have fun! We have a full restaurant with a children's menu, great food, beer, wine, desserts, and more. Rainy day activities at Deep Creek Lake for the whole family can be found at The Alley in Oakland, just down the street from the intersection of Rte 219 and Rte 135, a block east of Southern High School! 20 Game Redemption Arcade~ with Tons of Prizes! The Alley is the only ten pin Deep Creek Lake Bowling Center, and the only bowling alley in Garrett County. We have bumpers and ramps for the littles, and shoes as small as toddler size 7! If you need slightly larger shoes, we have all the way up to Men's Size 18. If you forgot your socks...or wore your flip flops out today, we have some socks available for a nominal fee as well. No excuse to sit out a game. Parties at the Alley are simple and fun for everyone. We have FUNdraising events regularly, in the way of bowling tournaments, Spirit Nights, special themed events and more. 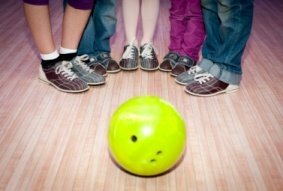 Camps and schools often make a trip to The Alley part of their fun activities, incentive programs and more. We often have meetings, team building events, holiday or annual parties, as well as family reunions and youth groups. Call us to host your next group event. We can work with you on a special menu, or offer our regular group pricing, which includes bowling, shoe rental, pizza and drinks for more than 10 people. Looking for the bowling alley in Deep Creek Lake, and other fun family activities? Here we are! See The Alley event calendar page, to make sure you aren't missing out on all the fun and excitement! Deep Creek Lake Fun For The WHOLE Family!! The Alley is the newest addition to the recreation scene at Deep Creek Lake. The old Par Matt Bowling Lanes is getting a full face lift, inside and out, during the month of May! The Alley picture gallery will have pictures of the full renovation throughout the month of May. Deep Creek Lake party facility with everything you need to have a fantastic time! We provide the setup, activities, food and cleanup! Garrett County youth programs...bowling, crafts, business skills, and more! New Garrett County youth programs at The Alley in Oakland will include bowling, ping pong, and fun education classes. 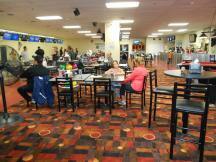 Western Maryland bowling leagues offered year round at The Alley in Oakland, MD. Join us for fun and competition! Employment opportunities at our center. Employment at The Alley in Oakland, Maryland. Bowling alley specials offered seasonally. Check them out! Bowling alley specials for Oakland. Seasonal, holiday and other specials listed on our site! The Alley menu page online. Pizza, Wings, Salads, and more delicious food! Fundraising in Oakland, Maryland...how about something FUN that *also* raises money? Map to The Alley, Deep Creek Lake Area's fun family spot! 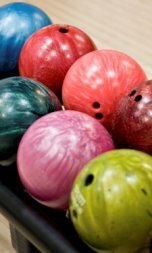 League Stats posted weekly for Leagues bowling at The Alley! Bowling Oil Patterns range from competitive to recreational. Bowlers who learn to read the oil conditions have an advantage in modifying their game to improve their scores. 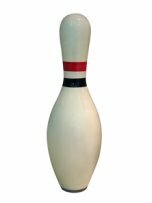 July 2018 letter to Alley league bowlers. Specials, oil pattern committee, and survey.